WhatsApp is one of the most used social networking app used on smartphones, it has gained popularity recently and ranks high among social media apps. You can make calls on very less data charges, send texts, pictures, videos and other files too. It also provides end to end encryption and make your communication secure and reliable. Many people have reported call drop issues and call connectivity problems while using WhatsApp. If your are facing WhatsApp cal not working problem then follow this brief guide to resolve your problem. The most common reason why your WhatssApp is not working is when you have slow internet, or limited connectivity. WhatsApp call not connecting problem occurs when you have unreliable internet connection which also causes frequent disconnections and WhatsApp will have trouble connecting a call. That is why you must make sure you have good data coverage if you are using cellular network and if you are using Wi-Fi then make sure its fast enough and working properly. For Android Phones, simply press and hold "Power/Sleep" button until a menu appears on screen, tap "Restart" and wait till device reboots. Alternatively you can also hold "Power/Sleep" button until phone completely shuts down. Now once again, press and hold "Power" button again for few seconds and your phone will boot up again. For iOS based devices, simply press and hold "Sleep" button until a slider screen shows up, now slide the slider to right and your iPhone will shut down. Once again press and hold "Sleep/Wake" button till Apple logo shows up, your phone will shortly boot again. Step 1: Open "Settings" on your Android phone. 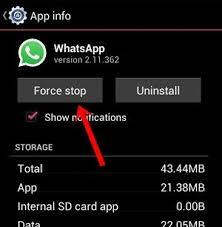 Step 2: Find "Apps" and tap it then find and tap "WhatsApp". Step 3: Now tap "Permissions" and turn on all all permission toggles. Android apps create cache on internal storage for fast loading and memory management, sometimes this cache gets bulked up and corrupted which causes weird app behaviour and crashes too. Clearing cache for WhatsApp will solve this problem. Step 2: Tap 'Apps/applications"' and then find WhatsApp from list and tap it. Step 3: Now tap, "Storage" and then tap "Clear Cache" button. Step 1: Open "Appstore" on your iPhone. Step 2: Now tap "Update" icon from bottom right. Step 3: List of all apps having updates will be shown, just tap "Update All" on top right. 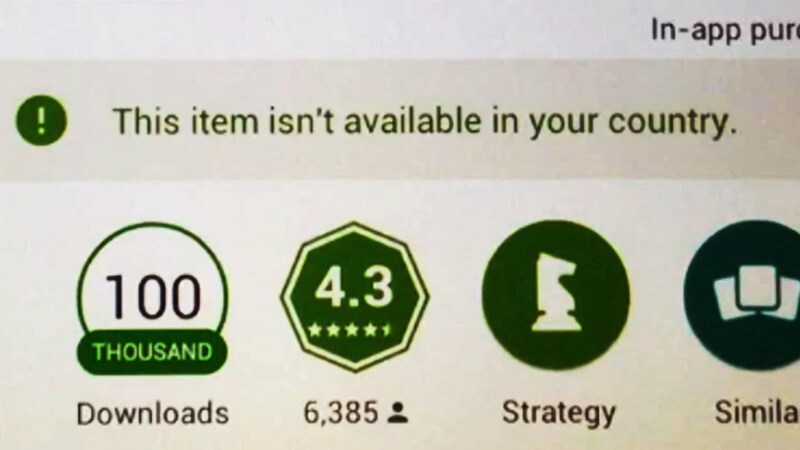 Step 1: Open "Playstore" on your Android device. Step 2: Tap three lines icon and then tap "My apps and games". Step 3: List of update able apps will show up, simply tap "update All" button. If you are an iOS user and facing WhatsApp problems like WhatsApp call not connecting/working, WhatsApp crash, WhatsApp not updating, etc., Tenorshare ReiBoot is here to help. ReiBoot is a good tool which can resolve all sorts of freeze and stuck problems on iOS devices. It is capable of repairing firmware problems too. Most interestingly you can use Tenorshare ReiBoot without worrying about data loss. It can fix iPhone recovery mode stuck, DFU stuck , loading screen stuck, and so on. It also provides one click solution to enter and exit iPhone recovery mode on iOS devices. If you are not sure how to fix iOS problems then ReiBoot is best bet for you. Launch ReiBoot and connect your iOS device to computer, choose "Repair Operating System" on the main interface. Click Start Repair and you'll see a screen like below. Prior to recover iOS system, please download the latest iOS firmware file. With the firmware package, ReiBoot will start repairing iOS system. After a few minutes, your device will reboot and the problem has been fixed. Don't hesitate to use this iOS system recovery tool if you are faced with an iOS problem. We have discussed why Call problems occur on WhatsApp and what are possibly best solutions available to fix these kind of issues. We have covered solutions for both Android and iOS devices and also recommended one of our personal favorite tool which you can use repair iOS. These solutions are reportedly working for many people and there is no reason that it won't work for you.